Uptown Studios is all about creating Web sites, print materials, company branding, videography and more, that get you the attention that you deserve! Uptown Studios is the place to come when you need a little excitement in your creative department. We’ve worked with Sacramento-area nonprofits and companies like yours since 1992. As a progressive Sacramento graphic design firm, we are ready to change the world with our social marketing techniques, provide alternatives to mass printing (green design is good design!) and put movement into your Web site or materials with our multimedia, photography, video and animations. We will do all of this in a socially responsible way, for you and for the world. 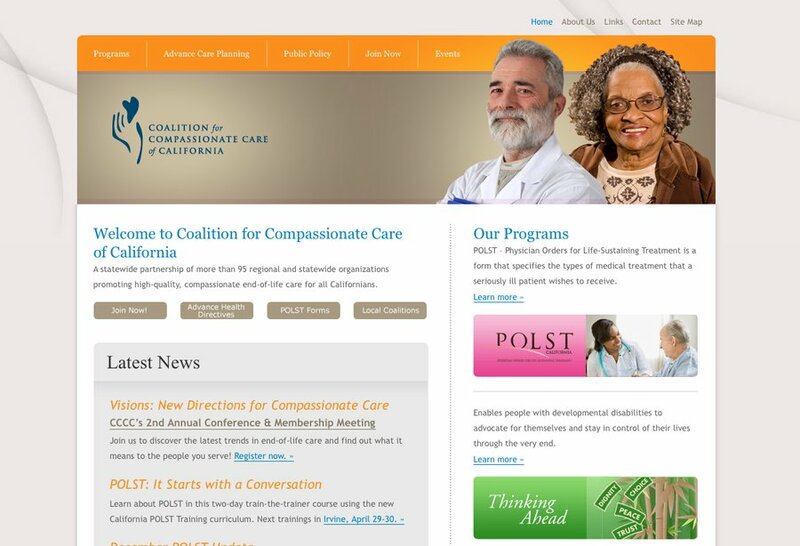 Homepage screenshot from our Web site redesign of Coalition for Compassionate Care of California.